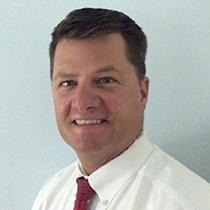 Today’s guest is Sam Shields, the Director of Operational Excellence at Dartmouth-Hitchcock Health System. In his role as Director, Sam provides leadership and strategic planning for the Value Institute. He has oversight of Performance Improvement, the Project Management Office, and the The Value Institute Learning Center. He is responsible for developing programs and partnerships to improve patient outcomes and drive the organizational culture of the largest system in New Hampshire, with a reach of over 2 million people, toward operational excellence. In this podcast we talk about Sam’s career, which began as a chemical engineer working in specialty chemicals. Through experiences in a variety of manufacturing and production roles, Sam became an expert in supply chain management and quality and performance improvement. Like many of my guests, Sam’s road to serving in health care was circuitous. 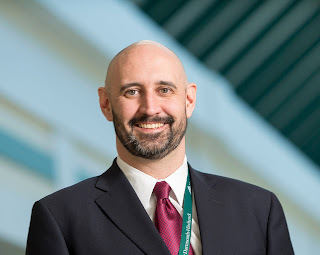 When he joined the Dartmouth-Hitchcock team in 2009 and returned again in 2013, he brought his extensive and diverse experience to bear on improving the functioning of the organization. 1:18:37 what does he look for when hiring a leader? 1:20:22 reflecting on lessons learned "the hard way"
Today’s guest is Thomas Lavallee, the Chief Operating Officer of Alliance Health Management Services. As the COO of Alliance Health Management Services, Tom oversees four skilled nursing facilities that provide both short term rehabilitation and long term care. In his role, Tom is charged with both running the day-to-day operations of the organization as well as exploring growth opportunities. In this podcast we talk about Tom’s 25 year journey in skilled nursing and long term care, and discuss the future of both the industry and his organization. I really enjoyed my conversation with Tom because he gives a view of the competitive nature of the long term care market and how the health reform is impacting the industry. He makes a compelling argument for early careerists to consider the field of long term care. I have produced two versions of this podcast – an extended version that includes are complete conversation, and an abridged version. 0:37:13 when did he know he was committed to LTC? 1:09:35 what makes a good LTC facility? 1:10:55 what makes a good nursing home administrator? 1:11:32 how has the industry changed? 1:22:49 why LTC for an early careerist?